Researchers have patented the solid-state batteries. The next step is finding battery makers to manufacture them. 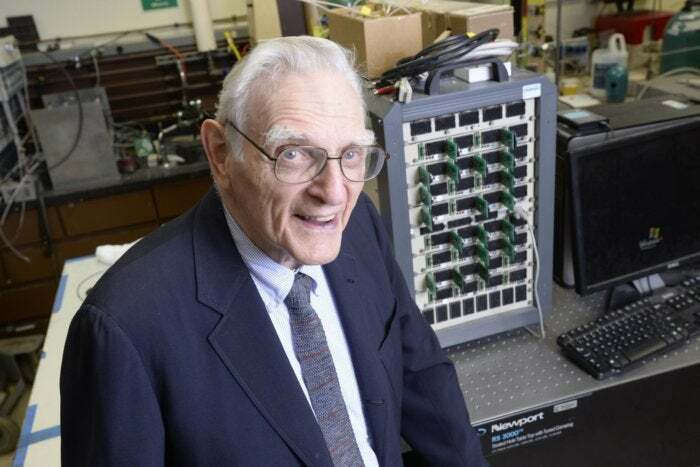 One of the inventors of the lithium-ion battery used by laptops, phones, and tablets has announced the next generation of battery technology: a solid-state battery that offers three times the energy density of today’s batteries and is safer to boot. Researchers say that solid-state batteries solve several problems, including safety. Samsung, for example, was forced to recall its entire Galaxy Note7 smartphone lineup because of battery fires, which the company blamed on third-party battery suppliers. In the case of the Note7 and other incidents, the fires were caused by short circuits, which caused the battery to overheat and in some cases explode. One of the causes of short circuits is something known as “dendrites,” metal whiskers that can spontaneously form and poke through the electrolyte barrier separating the battery’s cathode and anode. (In Samsung’s case, it appears that other manufacturing defects were at fault, however, and not dendrites.) Goodenough and Braga claim that the glass electrolyte their solid-state batteries use prevents these dendrites from forming. Based upon tests, it also appears that the solid-state batteries may have an energy density close to three times that of conventional Li-ion batteries. That’s important, as a solid-state battery would theoretically be able to store three times as much power as a Li-ion battery of the same volume. The researchers claim that the cells can be charged and then run down more than 1,200 cycles with low cell resistance. The cells will operate at temperatures as low as -4 degrees Fahrenheit, they said. Goodenough and Braga also said that a glass electrolyte, made with sodium, should be more environmentally friendly than the lithium used in today’s cells. The glass electrolytes will also allow manufacturers to plate and strip alkali metals on both the cathode and the anode side, which will simplify manufacturing. The next step? Finding a company to make them. Why this matters: To replace today’s lithium-ion batteries solid-state batteries need to tick off all the boxes. Consumers value safety, but they won’t be happy if their phones and tablets get less battery life than they did before. Goodenough, Braga, and their team of researchers seem to have accomplished this, offering hope that the agonizingly slow pace of battery development will amount to a big leap.